Colombo’s approach to implementation of tube systems in healthcare creates a much more robust system, designed to achieve a higher level of service for the patient and more efficient operations for the caregiver. The transfer of cash, original documents and other sensitive items can create costly challenges and security issues for many commercial businesses. Sampling and analysis of a product during its processing or manufacturing can be critical for quality assurance or to achieve specific results. Physical transport of these items in a timely fashion is a necessity. A trusted name in quality products and service for five decades. The most complete product line of pneumatic tube systems. Consultation, design and layout of new systems. Full line of services, which include manufacturing, installation, training and maintenance services. Superior customer service, which includes preventative maintenance, emergency service, technical phone support, replacement parts and carriers for all types of systems. 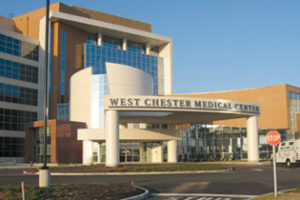 See how West Chester Medical Center partnered with Colombo Pneumatic Tube Systems to design and install a state-of-the-art Direct Delivery System with SecureTrak.